Civil War Soldier and Sailors System. Terrific. Enough said. Finding Information on Personnel Participation in the Civil War (this link will open a .PDF file). A research guide prepared by the National Archives that gives great information on how to track Civil War Soldiers through National Archives records. Civil War Genealogy Resources at the National Archives. 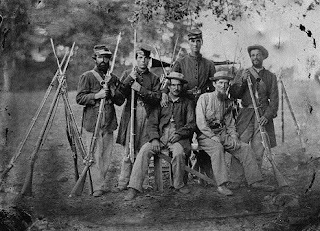 Link to helpful information on requesting Civil War records and files from the National Archives. Missouri Digital Heritage. The military section of this site have a lot of information about Missouri Civil War veterans and documents about the war. 120th Ohio Volunteer Infantry hosted on Rootsweb. 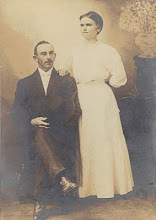 I learned so much about my ancestor, Philip Kuhn, through this website. Not just genealogy data, but what he must have gone through during the war. Civil War Trust. this link offers a wealth of information about Sesquicentennial activities across the country. National Park Service Civil War. This site will be new in April, but still offers numerous links about civil war sites and celebrations across the country. Share Your Story about the Civil War in Appalachia. This is a site put together by the Appalachian Regional Commission as an effort to gather Civil War stories from across the Appalachian region. If you have an civil war veteran or family from this area, which stretches from New York south to Mississippi, this is a great opportunity to share your story. Updates and new web site releases happen often, so if your state doesn't yet have a page check back often. Guess what else? After typing it so many times I now know how to spell SESQUICENTENNIAL.